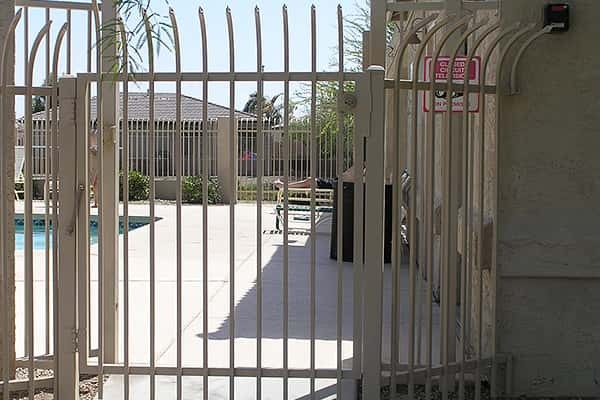 Sun King Fencing & Gates manufactures and installs high-quality security fencing throughout the Phoenix area. Call us at 602-989-0839 to discuss your needs. Protect your home or business with a wrought iron security fence. When the security of your home or business is of the utmost importance, consider a wrought iron security fence as an excellent solution for lasting protection. 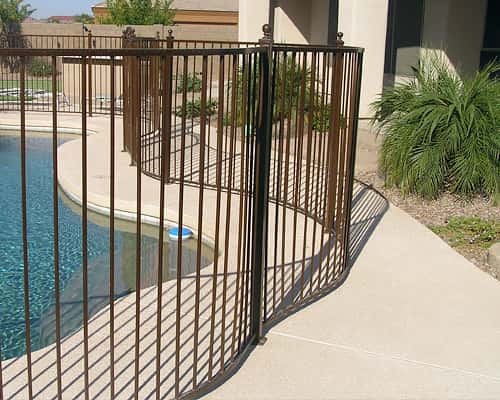 Home Owners Associations love to use wrought iron security fencing around common areas and pools to discourage trespassers from entering private or dangerous areas. Industrial plants also enjoy the benefits of wrought iron security fencing for public safety and the security of their employees and equipment. Sun King Fencing & Gates takes the time to understand your precise security criteria and then create just the right design that will provide the protection you demand while enhancing the look of your property. 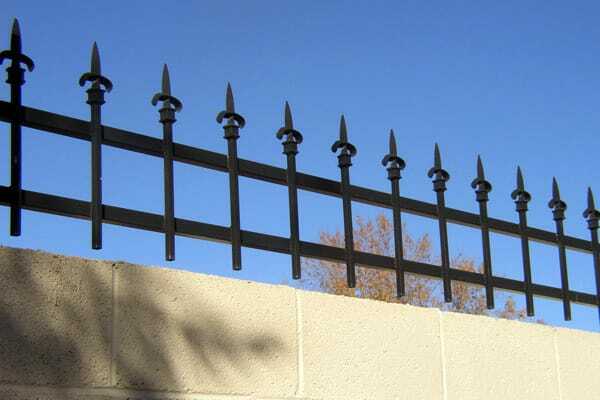 We offer a great number of different styles of wrought iron security fencing to meet your needs, including finials on the top that act as a strong deterrent to would be intruders. We use the toughest, highest-quality materials to provide you greater security. 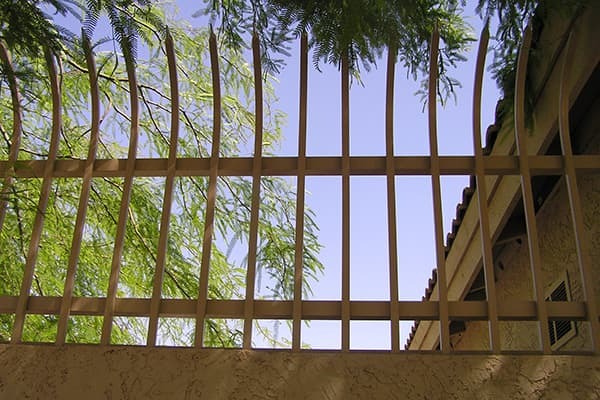 At Sun King Fencing & Gates, we use larger materials in the construction of security fencing allowing us to produce wrought iron security fencing that is taller and stronger than normal fencing to discourage trespassers from entering your property. Our customers appreciate that we can manufacture security fencing that is simple and extremely sturdy. If you are faced with more rigorous security concerns, we can manufacture security fencing and gates that are much taller and stronger. If building permits are required to install these larger security fences, Sun King Fencing & Gates will help get the local municipality permits to make the installation. The Sun King Fencing & Gates wrought iron security fencing specialists appreciate the input from our customers. If you have design concepts, we would like to see the drawings and help you refine them to meet all of your security concerns. Enhance the look and effectiveness of your security fencing with a variety of features. 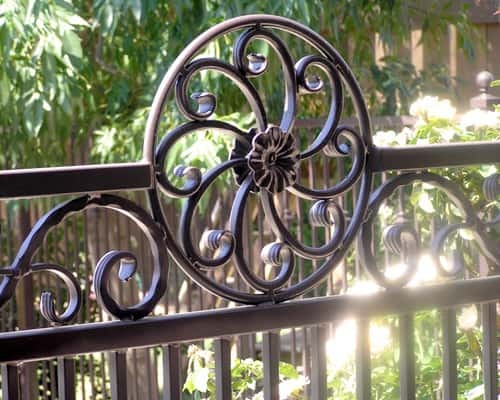 We manufacture our wrought iron fencing right here in Arizona. 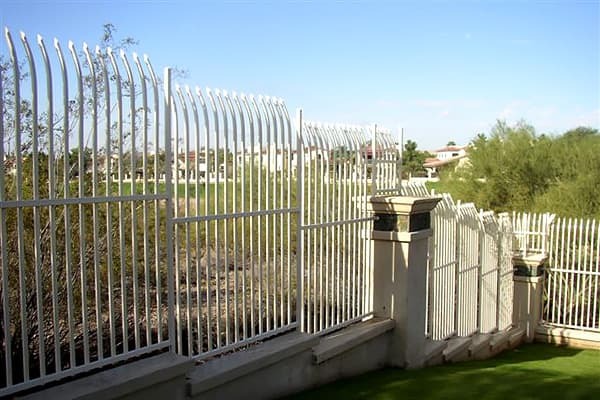 All wrought iron security fencing is designed and manufactured at our plant in Mesa, Arizona. At Sun King Fencing & Gates we have a staff of professional welders who use bulk steel in the fabrication of your security fencing. We cut the steel to your exact specifications and securely weld all sections together. An epoxy-based primer is first applied to your security fencing using an electrostatic paint gun in our paint booth. We next apply an environmentally safe polyurethane paint in the color of your choice. The polyurethane paint wraps the steel in a hard, plastic-like shell to give it protection from water and sun damage. Many customers prefer their security fencing to be painted with colors that allow them to blend in with the environment around their home or business. Need help choosing the perfect colors? We offer paint selections that meet this need. If you have a design in mind for your security fencing, we will make it a reality. We are a licensed, bonded and a registered contractor giving you assurance of professionalism and protection. 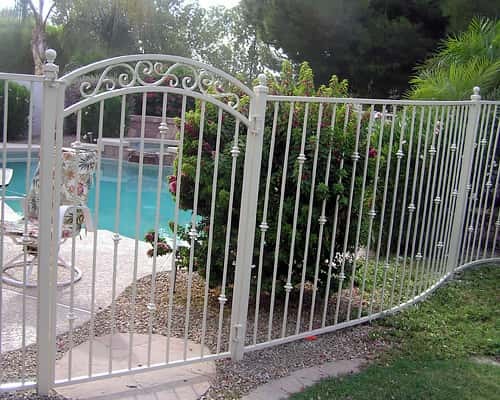 At Sun King Fencing & Gates we provide timely estimates for your security gates. Plus, each estimate can be adjusted or modified to meet your specific needs and budget. Sun King Fencing & Gates is proud of the security gates that we produced. We also love to receive feedback from our clients. See what our customers have to say about the experience and results they've enjoyed working with Sun King Fencing & Gates. 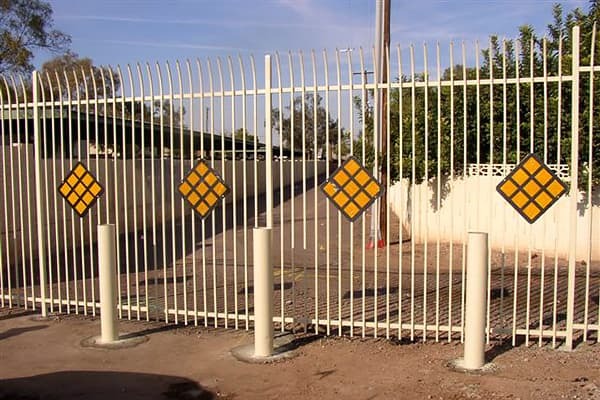 Choose Phoenix's trusted security gates company. We at Sun King Fencing & Gates are ready to help design and install a custom wrought iron and composite wood gate to meet your exact needs. To find out how we can help you, give us a call at 602-989-0839. You can also reach us with any questions using the provided contact form.